We had galloping fun dreaming up one special little Showpony’s 5th Birthday celebration. We pulled out all the stops for this “My Little Pony” themed beauty by recreating a mini Country Show funfair. The celebrations took place at the family home, where we lined the backyard with hay bales and white picket fences. Our team designed, planned and hosted on the day. Oh yeah we did, decked in our Cowgirl hats we took it in our stride coordinating the “Pony Stations” which included Fluttershy face painting, Pinkie-Pie glitter clay making, Rainbow Dash colouring competition and Applejack apple-and- spoon race. The birthday gal and her pony-pals rotated around each station collecting Cutie marks along the way. 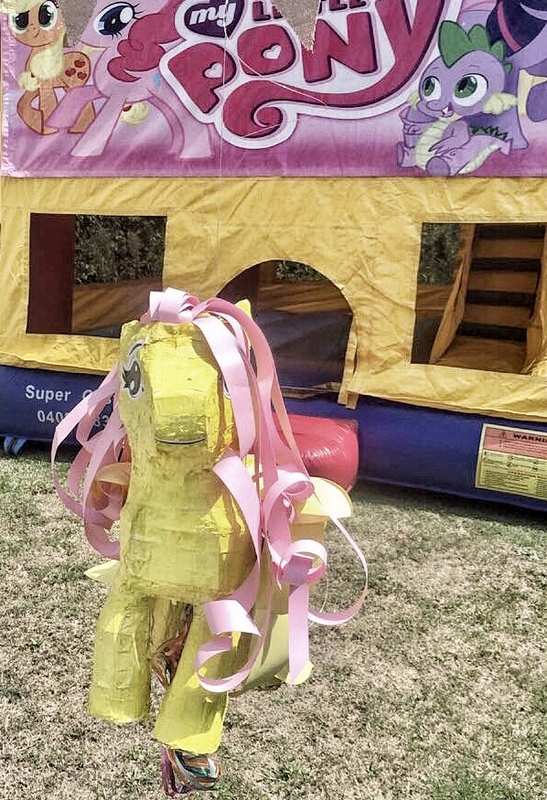 Despite the 30+ degree heat-wave that morning, party-goers were treated to a water slide jumping castle, piñata, cupcakes, a rainbow fruit platter, prize announcements, a dance off, and more yummy treats. Even parents had fun too; there was more than enough boot scootin’, non-stop giggling good fun to go around.